Hey, we get it. The 4th quarter of 2018 was a difficult period to be invested in the equity markets. After a 2017 when volatility reached an unprecedented low and the markets seemingly appreciated every day; 2018 saw two early 1,000 point declines on the Dow Jones Industrial Average (DJIA) on February 5th and 8th and finished the year with 2, 3 and 4% swings in both directions. Let's take a look back at volatility in the S&P 500 in 2017 compared to 2018. In 2017 the S&P 500 had eight +/- 1% moves in the entire calendar year, that's right 8 ! In 2018 we had 64 - that's 8x's as many +/- 1% moves on the S&P 500 compared to 2017. In 2017 the worst daily loss was 1.82%, in 2018 it was 4.10%. the greatest intra-day turn around on record the day after Christmas when the DJIA started the session with a 350 loss only to rally over 1,100 points to post a near 5% gain. Months like December make us, as investment professionals, remember what we believe in as a firm. There are 5 basic fundamentals that have always proven reliable to a successful investor in the equity markets. Let's start the year with a recap of these fundamentals. #1 - Understand the Risks of Investing. Before you commit to investing it's important to understand the risk and timing trade-offs of an investment portfolio. There are no tricks, the longer you are committed to invest, the better your chances to be rewarded with a gain. To drive the point home, a chart showing the best and worst case range of stock market returns over different time horizons may be helpful. The longer you hold on to stocks, the less variable your returns are, as the up and downs of the market become more muted over time. Historically, over a one-year time interval, stocks can make wild swings, ranging from a 54% gain to a 43% loss. 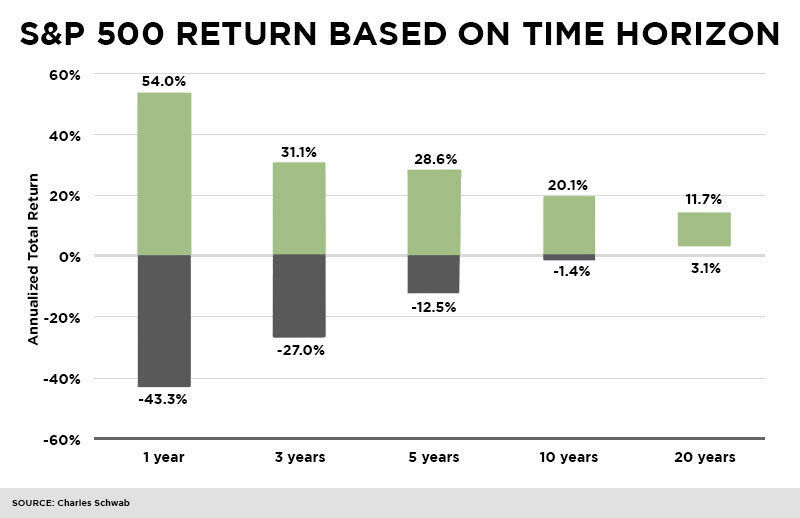 But if you're investing for a longer time, and looking at a 10 year horizon, average returns fell in a much smaller range, with a return range of +20.1 to -1.4%. #2 - Understand Investor Emotions. It's important to understand that when you enter the equity markets you must be committed. You must have the discipline and the fortitude to buy when the sky is darkest. By the same token, you also need the discipline to humbly sell and take profits just when you feel like you have solved the Rubik's cube and your picks will only go higher. We have used the chart below many times over the past 90 days. When investors reach fear, panic and despondency (as has occurred in the most recent quarter) the markets are usually set for a turn-around. But that's the exact moment when most investors exit the markets with an "I can't take it anymore" utterance. Many of those same investors only feel ready to return to the markets when optimism and euphoria once again take hold. Unfortunately, that is the moment of maximum financial risk. #3 - Ignore the Noise. Investors have a very difficult time buying when it's the darkest and selling during sustained rallies to re-balance their portfolios. A Charles Schwab study analyzed the returns of some popular funds in comparison with the actual returns in those funds experienced by individual investors. What they found was that individual investors, in the aggregate, experienced lower returns than the funds they were invested in - evidence of that consistent investor mistake of getting in late when things are already good (and preparing for a downturn) and getting out early when things turn bad (and are preparing for an upturn). Inevitably, markets do correct. It never feels good no matter how fiscally or mentally prepared you are. Corrections are the natural re-setting of company valuations and are part of the normal order in the markets. The good news is that markets have batted nearly 1.000 in their ability to recover from a correction and move higher in a reasonably short period of time. 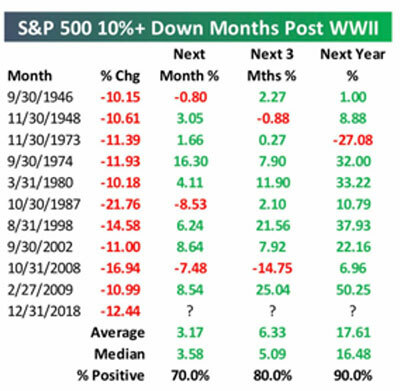 Since World War II the markets have experienced 10 monthly sell-offs greater than 10% and only once (1973) have the markets not moved higher over the next 12 months. #5 - Markets Can't Be Timed. Missing even just the best 20 trading days over a 15 year period can cut your potential return in half. Wouldn't it be great to miss the bad days and only be invested on the good days? Of course, nobody has ever solved that riddle . . . nobody! 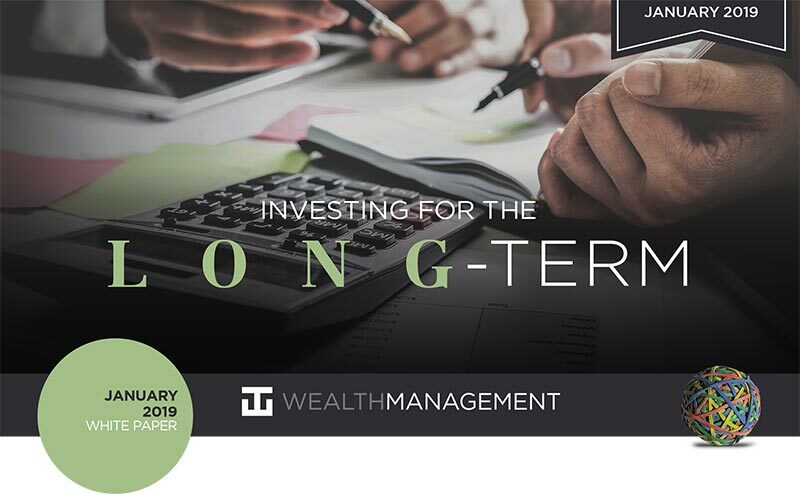 Having a plan and staying fully invested over the longterm has proven time and time again that it's the simplest and best way to achieve consistent returns. There's nothing new in this White Paper, but just as the markets need to reset from time to time, we too need to occasionally revisit the basics. WT Wealth Management has written over 75 monthly white papers since 2013 trying to educate our clients by lifting back the curtain that covers the mystery of the equity markets - which have always been a tremendous way to accumulate wealth if you don't outsmart yourself. Years like 2017 - with extremely low volatility and steady market appreciation - are the exception. Years like 2018 - with greater volatility and sometimes increasing / sometimes decreasing valuations - are closer to the norm. To be clear: Just because we recently experienced a market correction doesn't guarantee there's a rally around the corner or that magical returns are inevitably ahead. We have many unresolved issues facing us in 2019. What will the Federal Reserve do on interest rates? When will the trade war with China end? What will reports on domestic and global economic growth show? What will corporate earnings look like in Q1? What will corporate forward guidance be for 2019? How will new congress work with the President? Does the Mueller investigation come in to play? How will Brexit end? The list goes on. But regardless of the current uncertainties, we believe that following the five fundamentals of investing will maximize your chances of longterm success. Lastly, we encourage you, as always, to be in touch with your financial advisor to schedule a meeting, revisit your plan, review your goals and make sure that the noise doesn't deter you from realizing your dreams.